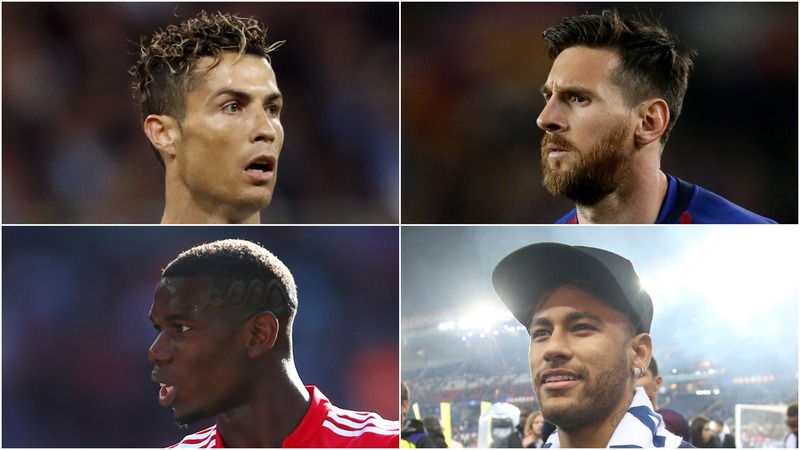 Cristiano Ronaldo, Lionel Messi and Kylian Mbappe lead the nominees for the Best FIFA Men’s Player award, but Neymar and Paul Pogba have not made the shortlist. Neymar finished third in the voting last year, but despite winning three domestic trophies with Paris Saint-Germain after leaving Barcelona, an underwhelming World Cup performance on his return from a fractured foot saw the Brazilian superstar omitted. Pogba excelled in Russia as France won the 2018 World Cup for the first time in 20 years, but the Manchester United midfielder did not follow international teammates Mbappe, Antoine Griezmann and Raphael Varane on to the list. Varane is the only defender included, alongside his Real Madrid colleague Luka Modric — the World Cup’s Golden Ball winner. Mohamed Salah’s stunning first year at Liverpool earns the Egypt attacker a place, with Premier League stars Eden Hazard, Kevin De Bruyne and Harry Kane being nominated too. Ronaldo has won the award in each of the two years since the prize was launched, with Messi second on both occasions. Players, coaches, fans and the media will vote for the winners, with the victor to be announced at a London ceremony on September 24.